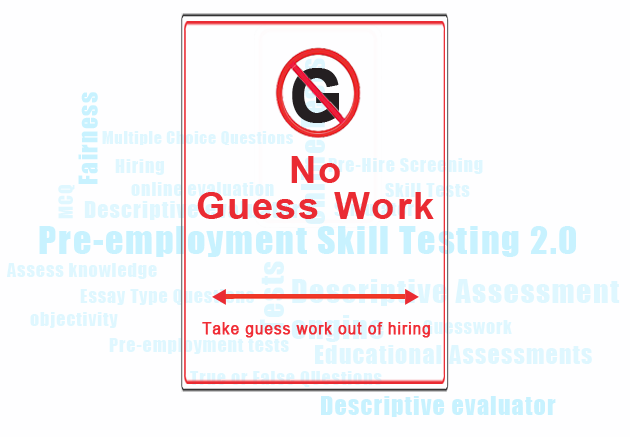 Now before you start wondering what is new in Pre-Employment skill testing 2.0? Try answering this simple question. Yes, you guessed it right! The capital of Vanuatu is Port Vila. No, this article is not about Vanuatu or Capitals or to test your General Knowledge. My point was to bring to your notice that when provided with multiple choices, you were prompted to make a guess even when you did not really know the correct answer. You read the options carefully and apparently made the right guess. 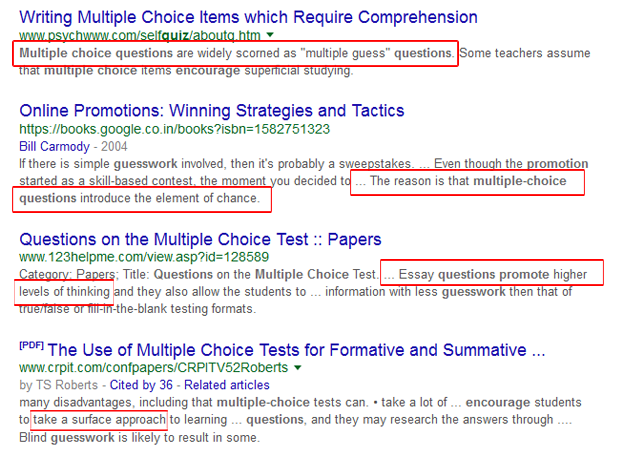 "Multiple Choice Questions" or "Multiple Guess Questions"
Lots of research proves that use of MCQs encourages guessing, and rewards for correct guesses. Thus, skill tests that use only multiple-choice questions as their assessment engine are starting to appear insufficient for those who wish to bring objectivity and fairness in their screening process. On one hand where the use of MCQs in any test will provide unprepared candidates the opportunity to guess and they may get credit for their guesswork. Essay type questions, on the other hand, can eliminate guesswork, but they need to be evaluated manually, resulting in huge workload, time, and reduced objectivity. The problems with MCQ based tests are well known but when it comes to online testing, MCQs are still used as the major assessment vehicles. The reason is obvious, so far MCQs are easily evaluated electronically because of which they are most commonly used in online tests. “The Descriptive Test Simulator” that can evaluate essay type answers electronically. 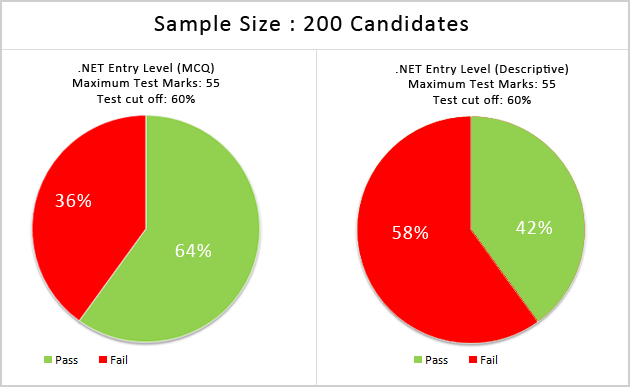 To test the effectiveness of the descriptive test simulator, Interview Mocha recently conducted a survey of more than 200 entry level engineers. The candidates were tested twice using the same set of questions. First, the candidates were tested using the descriptive simulator, and later they were given the MCQ tests. The test results revealed that candidates attempted 30% more questions through guessing when given multiple choices. And, 22% more students passed the MCQ tests as opposed to the descriptive tests where they failed. The Candidates who passed the descriptive tests performed better in the face to face interview as well. Going by these findings in a pre-employment testing scenario, around 20% of the irrelevant candidates will still fall in your interviewing pipeline. You are wasting your valuable time, money and energy spent in conducting and evaluating the test as well as the interviewing time of your hiring team. Interview Mocha strives to provide you latest and quality online skill tests that help you in filtering irrelevant candidates. To increase objectivity, precision and reduce guesswork in our tests, we have just improved our tests with a balanced mix of descriptive questions, multiple choice questions(that are scientifically created by experts) , true or false questions and other advanced simulators. So, why not take a spin and try it yourself. We would love to hear your feedback and suggestions in order to improve further.